Why are so many therapists so scared of a label? Hello. Than you for visiting my site. I hope you have begun to feel more confident that there is an answer to whatever it is which brings you here. 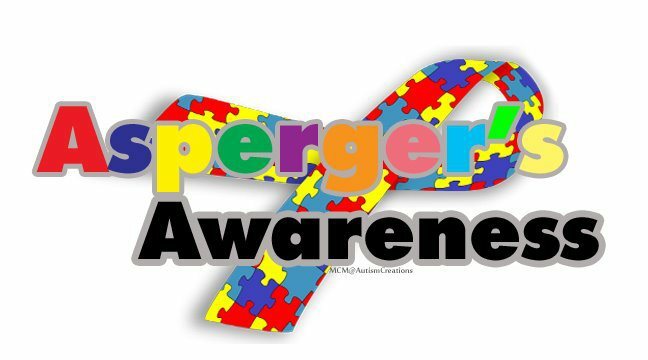 Asperger’s Syndrome is one of the major reasons I go to work each day. I have the great pleasure of being one of very few hypnotherapists in Reading, London, Oxford, Wallingford and Thame who knows anything of substance about the autistic spectrum ‘disorder’ and am thus inundated with calls and emails from individuals and their parents who wish to find a solution to their problem. My eldest daughter has asperger’s and about a third of my clients, at any one time, are on the spectrum too. Hypnotherapy can help them to feel more confident in social situations. Hypnotherapy can help them with anything and everything for which anybody else might go to see their local hypnotherapist. 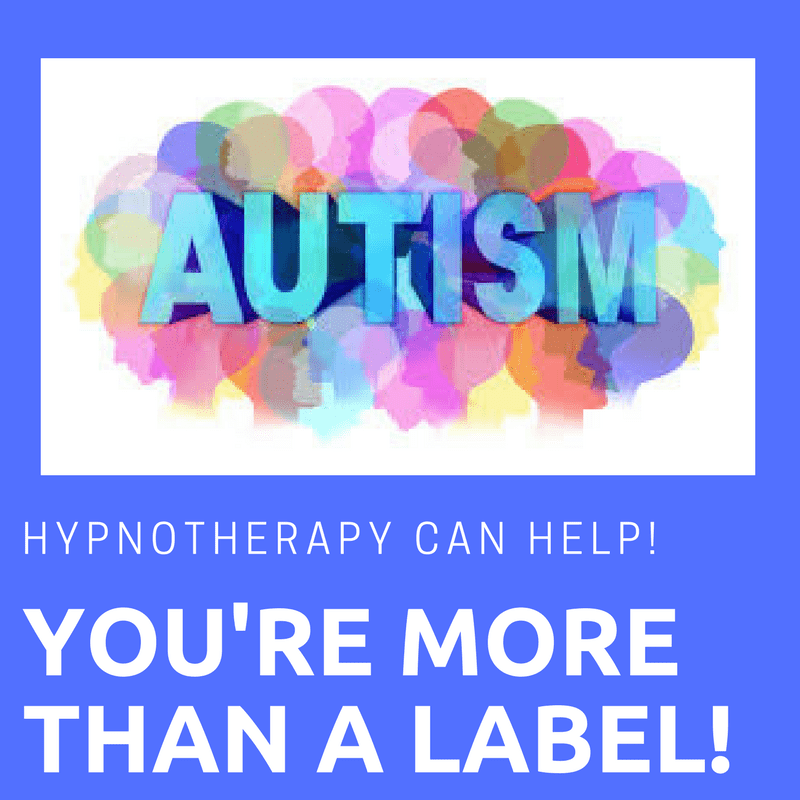 Hypnotherapy has helped many ASD children to master anger, anxiety, OCD, phobias, depression and a great deal more. If you’d like to read more of how hypnotherapy could help you or a loved one then please do get in touch or read a little further around this website. Autistic spectrum disorders were officially off-limits for NSHP’s hypno-psychotherapists but I quickly, as a trainee, realised that this blanket ban was unnecessary. The autistic spectrum is an incredibly wide net which takes in those who are entirely unable to function on an independent basis and others who can do so with few problems at all. Those who had previously banned the use of hypnotherapy for asperger’s were either unaware of the high-functioning nature of many people on the spectrum or had only ever learned about the condition through watching ‘Rainman’. Therapists should most certainly know better and it still shocks me to learn just how little most therapists understand anything substantive about the condition. It makes absolutely no sense to refuse to work with every individual simply because of a label. We, as therapists, are supposed to see beyond those. We’re supposed to see the real person and not be scared by a diagnosis. I’m glad to say that I can see beneath a label, have a great deal of experience of working with people on the spectrum and look forward to meeting and helping many more such people into the future. Perhaps you’ll get in touch in order that I might be able to help you too. Years ago I succeeded in bringing the NSHP to review its position on hypnotherapy and Asperger’s and am now running running workshops for therapists, advising them as to how the needs of Asperger’s clients might best be met. Whilst training I came to appreciate the value of hypnotherapy in helping my aspie daughter to cope with anxiety. As meltdowns loomed she would call for me to calm her down. I have helped her to deal with problems surrounding social anxiety, misophonia and other difficulties. I quickly attracted ASD / ASC clients as soon as I opened my practice and have found that hypnotherapy has great potential in helping them to resolve their problems – whatever they may be. 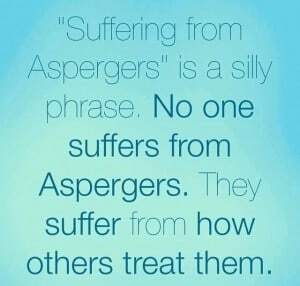 I have helped asperger’s or high functioning autism clients to conquer OCD, anxiety, depression, social anxiety, substance abuse and no end of other difficulties. If you are on the spectrum, or know someone who is, click here for my main page on how hypnotherapy could help. If you or your loved one are on the spectrum then you need to find somebody who understands the characteristics and needs of people with asperger’s or high-functioning autism. There is, I’m afraid, little use in taking yourself, or your child, to see a therapist with little or no understanding of autistic spectrum disorders. I have heard many tales, from clients, of therapists who attempted to insist that their social difficulties must stem from some childhood trauma and whose provision of therapy was fatally flawed because they just didn’t understand the difference between the symptoms of asperger’s and a ‘neurosis’. Others wasted time because their therapists failed to appreciate how ASD affects thought, emotional regulation and the ability to globalise learnings from one situation to another. Others insisted that asperger’s could be cured with tweaks to a diet or suchlike. Others just put up a page about asperger’s on their website, simply to attract clients with whom they have no idea how to work. I’ve often seen this and find it thoroughly unethical. Why waste your time and money on therapists and therapies which make no provision for the triad of impairments and their effects? Hypnotherapy for asperger’s and its related co-morbidities is a valid and effective means of helping autistic people to deal with depression, anxiety, OCD, substance abuse and more. I have helped dozens and dozens – if not hundreds – of people to realise their goal despite their diagnosis. You could be the next such person, if only you can have just that little extra faith in yourself in order to be able to send an email, fill a contact form or pick up the ‘phone. I have helped clients in Reading, Oxford, London, Thame and Wallingford to feel more comfortable in social situations, at work and to feel better about themselves. I have helped clients master social skills to the best of their ability, to get out and find work, to enjoy fulfilling social lives and even to save their marriages. If you’re on the spectrum and would like some help then give me call. I’d be glad to discuss how I could help you. Hypnotherapy, in the hands of a hypnotherapist who understands ASD, can be of immense benefit to people with Asperger’s. If you’d like to discuss this in more detail, please feel free to contact me here.